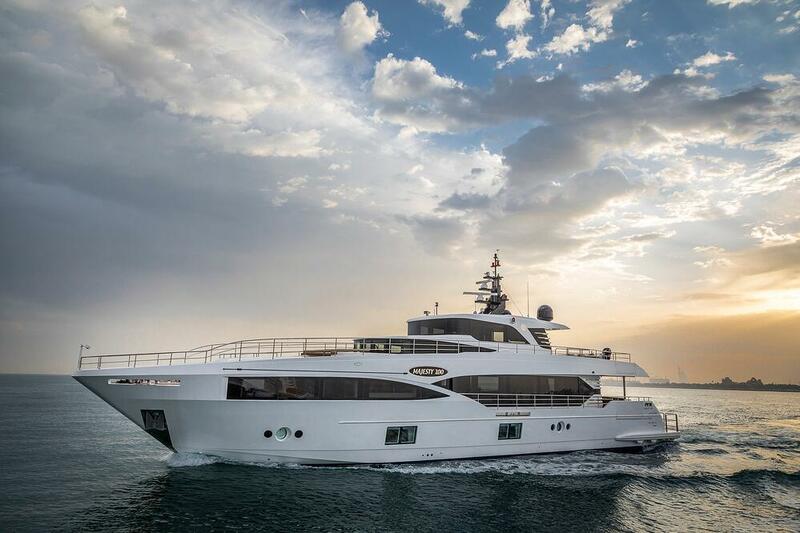 Dubai, 21 June 2017 –Gulf Craft has delivered the first Majesty 100 superyacht (M/Y Nahar) to its new owner, company executives have revealed. 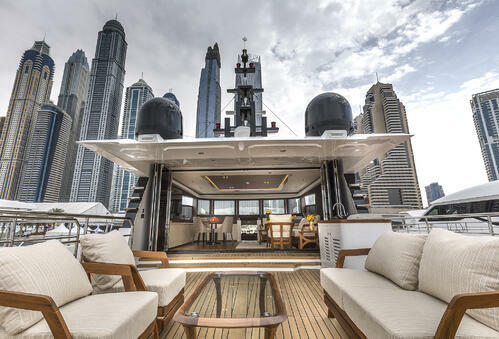 The luxurious 32-meter craft made its debut back in March at Dubai International Boat Show, and now the first person to order one at the event has taken delivery of his second Gulf Craft built yacht. 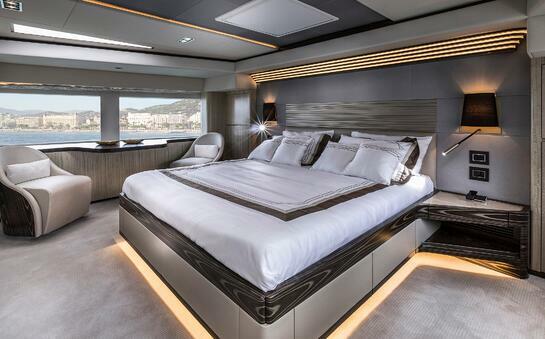 The Majesty Yachts brand epitomizes innovative engineering, craftsmanship, and state-of-the-art technology. Distinguished by immaculate exterior styling and exquisite workmanship inside, it is the signature line of Emirates boat builder Gulf Craft, which celebrates its 35th anniversary this year. 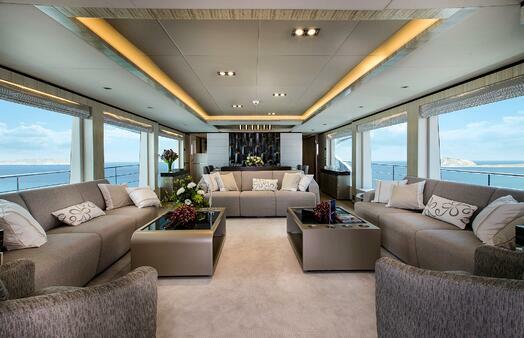 At 32 meters the Majesty 100 is Gulf Craft’s entry superyacht and the very first to feature a sky-lounge – a more comfortable version of the traditional fly-bridge. Amply accommodating relaxation areas, a wet bar, electric barbeque, and even an optional Jacuzzi, it enables passengers sitting in the lounge to take in fabulous views as they relax inside. It also has two balconies, one on each side of the rear seating area, and a huge raised wheelhouse where guests can sit back and watch the captain in action up close. When operated at a speed of 12.3 knots, the Majesty 100’s fuel consumption is impressively economical. It allows a cruising range of 1,050 nautical miles and can sail at up to 23 knots thanks to its two powerful 1,900 horsepower MAN engines. V-Drive propulsion offers a smoother, quieter ride, as do the ingenious fin stabilizers. The Majesty 100’s sophisticated remote-control steering system offers an easier, more efficient way to maneuver the superyacht, making docking a breeze. When passengers wish to step back on dry land, an innovative sliding mechanism lowers dinghies right onto the water, a process that was designed and engineered by Gulf Craft’s technical and design departments.